Everyone has their own Story to tell. Laura Pogue understands. Laura Pogue and her husband, Mike, had just experienced a thrilling tour halfway around the world. And then the most memorable part of the day occurred. Laura’s personal dedication to helping achieve your goals is obvious from the very first moment you meet her. It was a celebration of Laura and Mike Pogue’s 35th wedding anniversary that took them to Kenya, where they spent a full week on a guided safari tour. They spotted majestic lions, herds of elephants, unpredictable wildebeest and observed tribal bushmen. But truth be told, what happened after their safari is what remains most vividly etched in Laura’s mind. She and Mike were invited into the home of the safari guide, a primitive mud hut where this Oxford-educated guide lived with his wife and young baby. They met his family, shared stories and got to witness firsthand an entirely different way of life. In all of Laura’s travels, it remains one of the most memorable and life-changing events she’s ever experienced. How does one turn an exciting safari vacation into such a touching and enriching experience like this? For Laura, it was a result of taking a personal interest in the safari guide and engaging him in conversation that went beyond the typical tourist questions. It’s indicative of the bigger picture, too – no matter what Laura does, she invests herself personally and fully, and doesn’t do anything halfway. Perhaps that’s why her life has been so rich with personal connections. She and Mike have been married since 1969. Laura’s entire adult life has been spent working in various forms of customer service, each role accentuated by her own personal touch. Her first job with American Airlines allowed her to explore the globe, meet people from all walks of life, and experience different cultures worldwide. These days, Laura is more likely found spending quality time with her young granddaughters. Under Laura’s leadership is Team Pogue, comprised of Mike’s lifelong mortgage expertise as well as buyer’s agents specially equipped to help people find the ideal property to fit their needs. When you work with Laura and her team, you’ll soon realize Team Pogue was assembled with Laura’s trademark “personal” touch in mind and a shared approach to real estate. 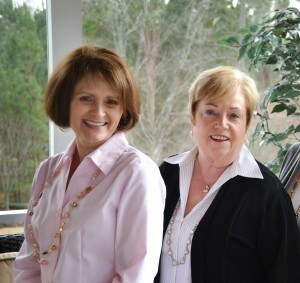 Together, Laura and Team Pogue are experts in Sun City Carolina Lakes as well as the entire Indian Land marketplace. 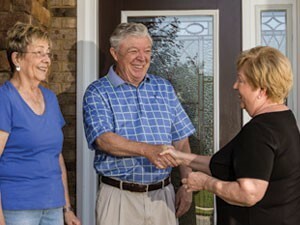 If you’re considering a move in the Sun City Carolina Lakes real estate market or Indian Land real estate market, don’t settle for any ordinary agent. Instead, turn to a proven professional who will take your goals personally and will do everything in her power to help you achieve them. Laura and her team will protect your best interests every step of the way and find the perfect solution to your individual objectives. To make the most of your home sale or purchase, contact Laura and Team Pogue today to experience Real Estate with a Personal Touch.